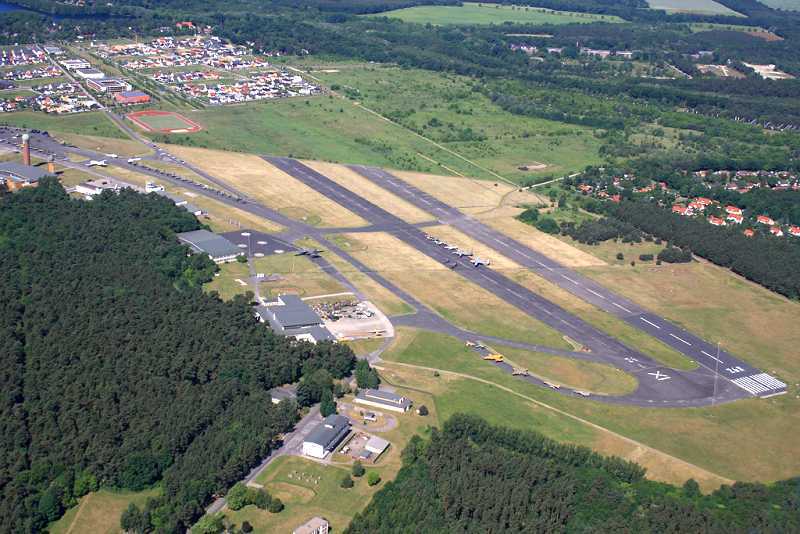 Air Station Berlin-Gatow (Fliegerhorst Berlin-Gatow, ICAO: EDBG) was an airfield on the western edge of Berlin, Germany. 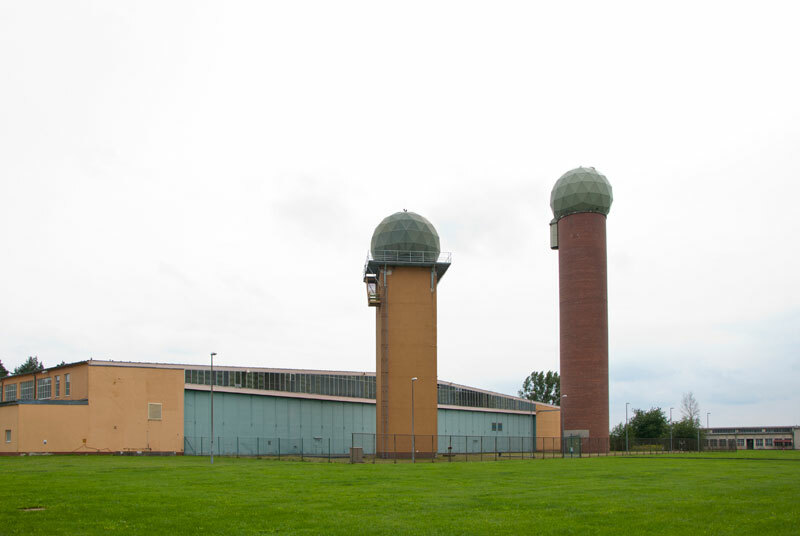 The air station was built in 1935 by the National Socialists during the resurrection of the Luftwaffe. It was opened by Adolf Hitler in November of that same year. After completion it became the home of Luftkriegsschule (Aerial Warfare School) 2 and the Luftkriegsakademie der Deutschen Luftwaffe(Aerial Warfare Academy of the German Air Force). The two schools were the two most important institutes of their kind in Nazi-Germany. IN addition, Hitler used the airfield for his trips to Berchtesgaden. On April 25, only weeks before the end of the war, Hanna Reitsch used the airfield to bring Generaloberst (General Major) Robert Ritter von Greim to Hitler in the completely besieged city of Berlin. Just before the fall of Berlin, female pilot Captain Beate Ushe (The world's first female jet fighter pilot - qualified on the Me262) used the field to escape to the west. On 30 April 1945, she took her son, nanny and four adults with her in a Siebel Fh-104 and postwar she became a renowned entrepreneur in the adult mail order businesss. In May, the airfield was overrun by the Red Army, who handed it over to the British Army on 2 July 1945. RAF Station Gatow became the airfield for the British sector of Berlin, and the base for the only known operational use of flying boats in central Europe. During the Berlin airlift, Short flying boats were flying out of Lake Wannsee, operating from the Deutsch-Britischer Yacht Club in Gatow. Having been built for operations from seawater, they were the planes of choice to carry much needed supplies of salt to the besieged city. 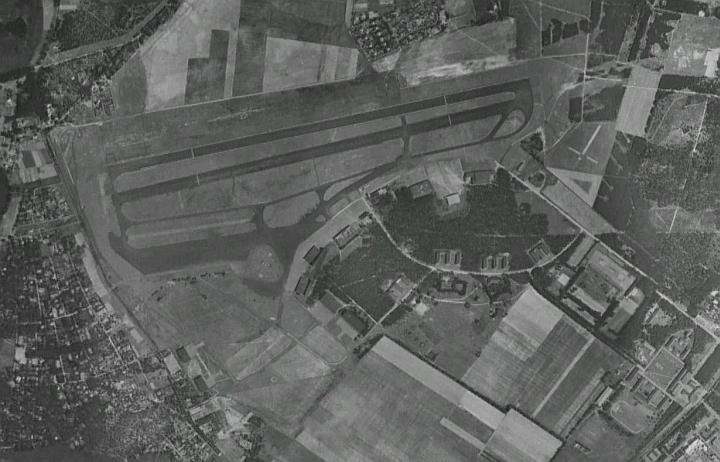 The airlift made Gatow a major airfield, the first transport aircraft of the airlift landed at Gatow on 28 June 1948. 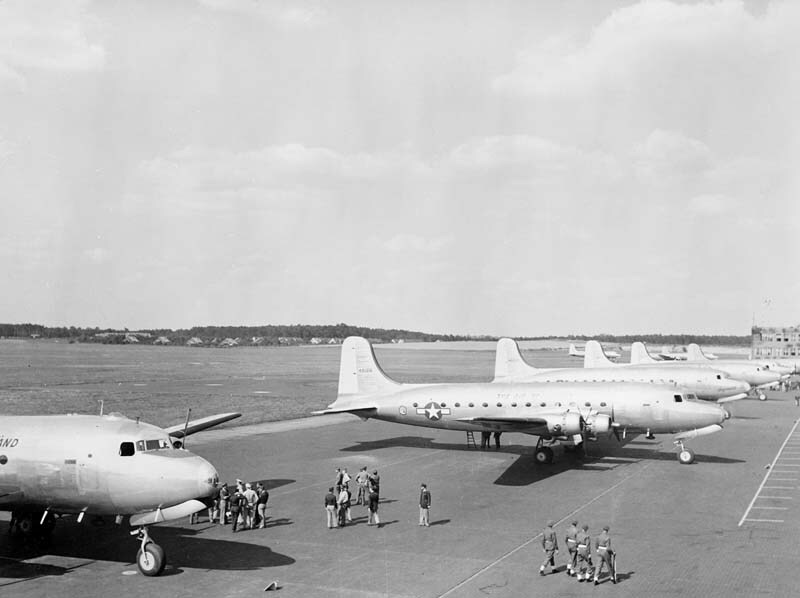 Gatow also played a major role in civilian air traffic, with BEA serving Berlin from 1946 until Tempelhof opened as the civilian airport in 1950. 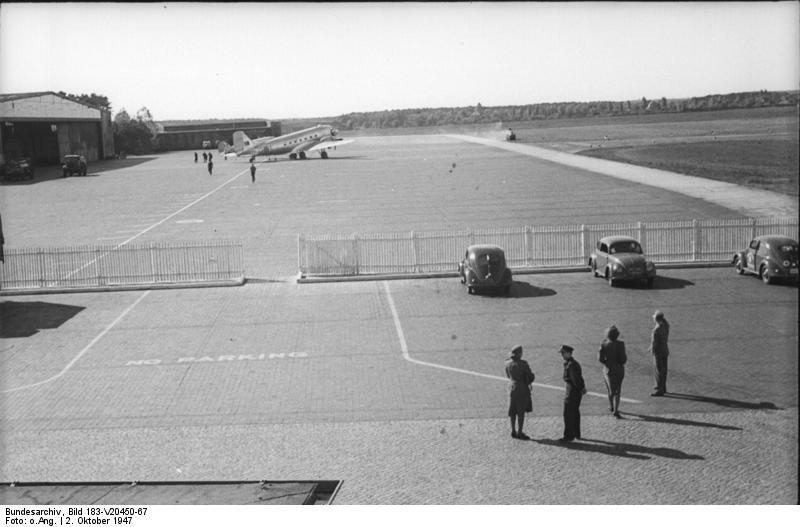 The platform of RAF Gatow on 12 October 1947 (Bundesarchiv, via Wikimedia). 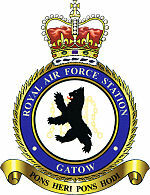 RAF Gatow was on the edge of the West-Berlin zone. In fact, its closest neighbour was an East German National Peoples Army (german: Nationale Volks Armee, or NVA) tank battallion. The Berlin Wall formed the western boundary of the airfield, which at the airfield was not a wall, but a wire. Officially this was a military courtesy of the East German Army to the Royal Air Force (which obviously no-one believed). After the Reunification in 1990 it was found out that the wire was indeed part of an exitsting attack plan to capture the airfield (Operation Centre) during the first hour of an attack. 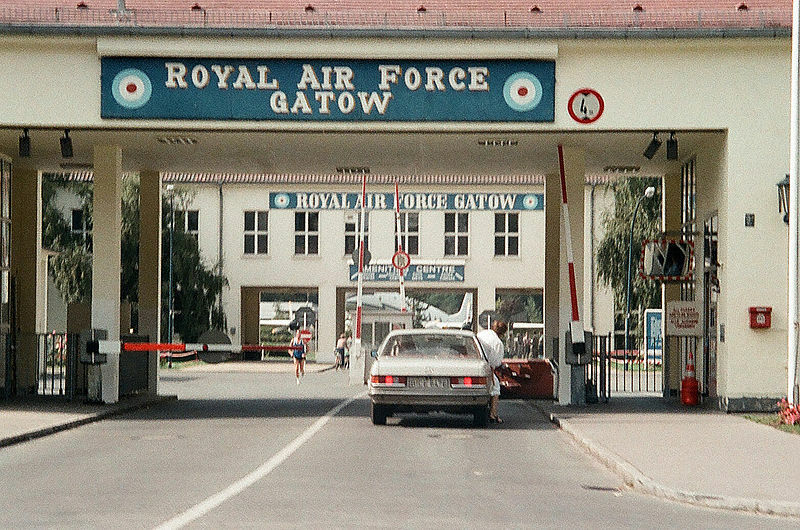 The main gate to RAF Gatow in 1983 (Wikipedia). During the Cold War RAF Gatow was home to a flight of Army helicopters and a station flight of two De Havilland Chipmunk T.10s. Officially, the chipmunks were there to maintain and exercise the British legal right to use the airspace over both West and East Berlin, and the air corridors to and from West Germany to the city. The Chipmunks were, however, also secretively used for photoreconnaissance flights over East Germany. In the summer of 1987 the airfield received an unusual defector: a young East German pilot flew his Zlin42M to Gatow and requested asylum upon landing. His aircraft was returned in disassembled state to East-Germany with "Wish you were here" and "Come back soon" slogans painted on by RAF groundcrews. 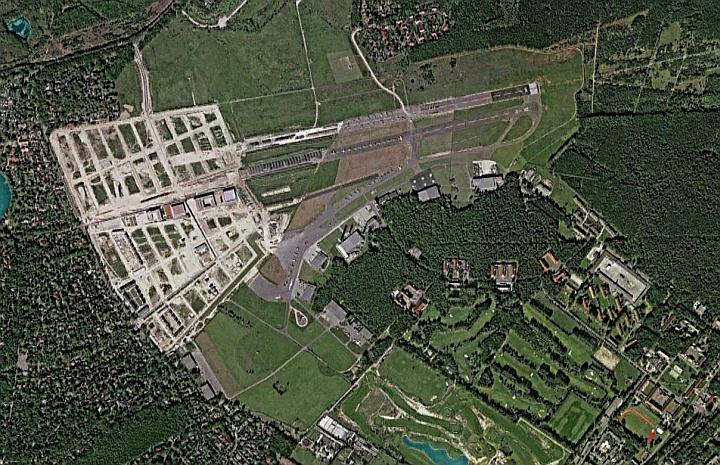 Following the reunification of Germany, the British stopped using Gatow Airport on 18 June 1994 and handed it back to the Luftwaffe on 7 September 1994. The Luftwaffe closed the airfield in early 1995. 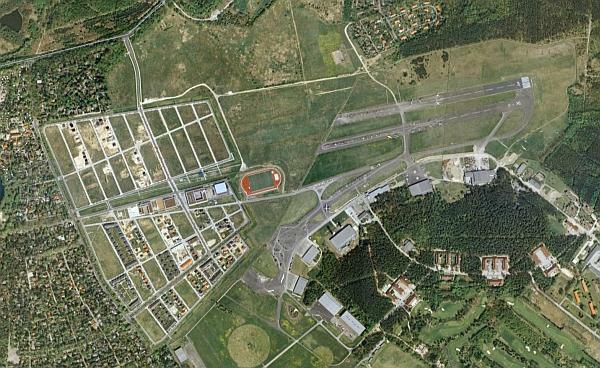 Subsequently the runways were cut in half, and the western halfs removed to make room for a housing project. 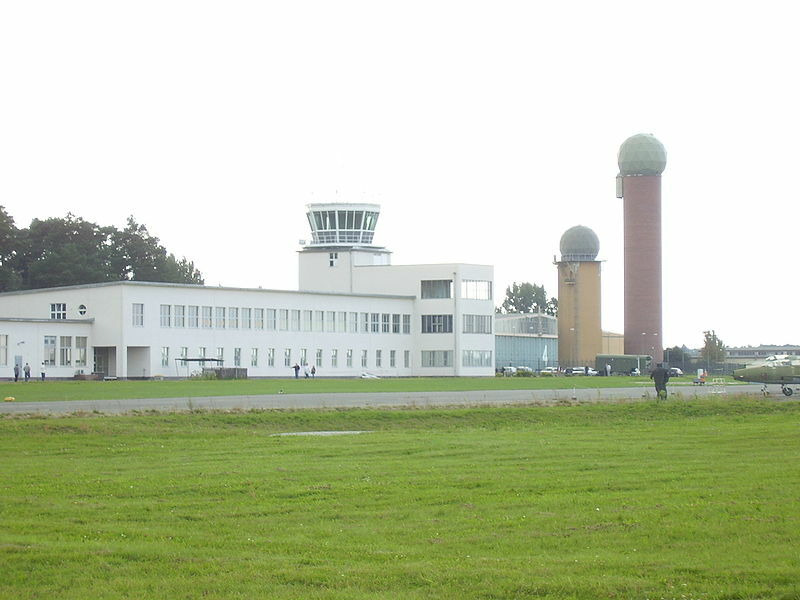 The eastern halfs of the runways now serve the Luftwaffe Museum which is now located at the former airfield, which has been renamed General-Steinhoff Kaserne. Most of the airfield buildings remain intact, as do the platforms. Luftwaffe Museum at Berlin Gatow in 2007 (Rosario van Tulpe, via Wikipedia). Since its closure, the airfield has been used for flying again. A Luftwaffe Transall was flown into Gatow on 19 September 2011, landing at 10:57, to become a Luftwaffe exhibit. As part of the festivities a fly-in was held, attracting amongst others an Antonov An-2 and a Piaggio P-149D. All made use of the 26R runway, which -in spite of being MUCH shorter than originally- was reinstated for the occasion. The barracks of Gatow were renamed General Steinhof Kaserne. Since 2012 it has become the national headquarters of the Luftwaffe. 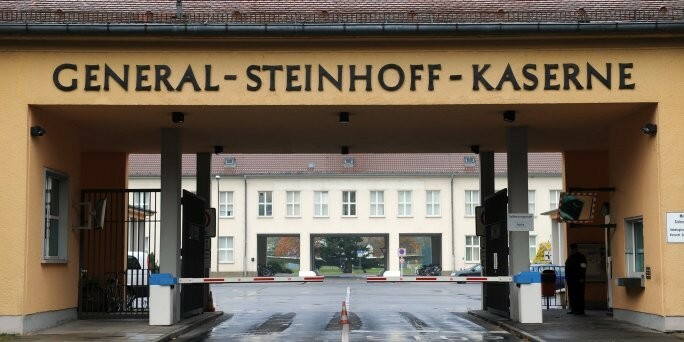 The main gate to Gatow, now renamed the General Steinhof Kaserne (taz.de). Berlin Gatow from the air in 2012. The top of the photo appears to be a bad photo edit, but this is really what the landscape at the airfield is intended to look like (Matthias Weber, via flugzeug-bild.de). 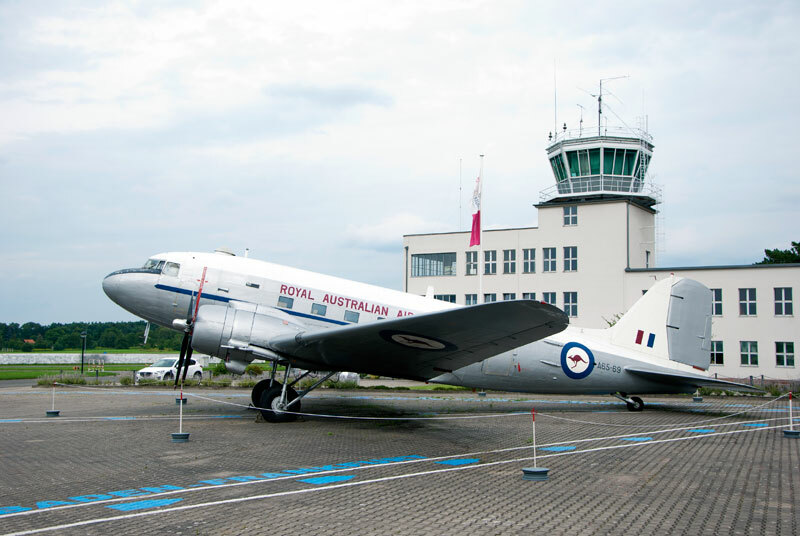 RAAF Dakota, serving as a reminder of the RAAFs contribution to the Berlin Airlift (RonaldV).